The U.S.-China IP Cooperation Dialogue is a collaboration between the U.S. Chamber of Commerce and Renmin University of China’s Institute of Intellectual Property. The group consists of intellectual property experts from the U.S. and China. Twice a year, they invite policy leaders to exchange views on U.S.-China IP relations, the global innovation system, and the foundation provided by intellectual property protections. Due to its expanding influence, The Global Innovation Policy Center (GIPC) needed an online platform that would be accessible to its international audience. Denverdata Web built a fresh new multilingual website for GIPC. Some features of this multilingual site include the ability for users to quickly and easily switch from Chinese to English from any page on the site. Also, this update will improve GIPC’s appearance on search engines. 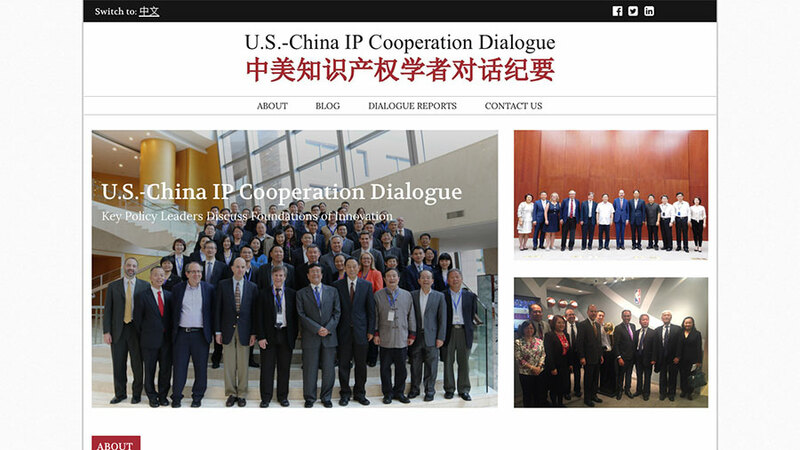 This website serves as an informative place where visitors can learn more about the U.S. and China experts who attend the U.S.-China IP Dialogue along with a place to post the documents and outcomes of these discussions. A crucial element of building a website is making sure it’s accessible to your target audience. If you’re wondering how to increase the accessibility and functionality of your website, we can create a website solution that works for you. Contact us now!